Your bathroom should be a place where you can relax and pamper yourself, which is why you might have the urge to revamp your bathroom. Do you ever sit at your desk at work dreaming of a long hot shower or a bubbly bath? If the answer is yes, and frequently then you should consider revamping your bathroom. 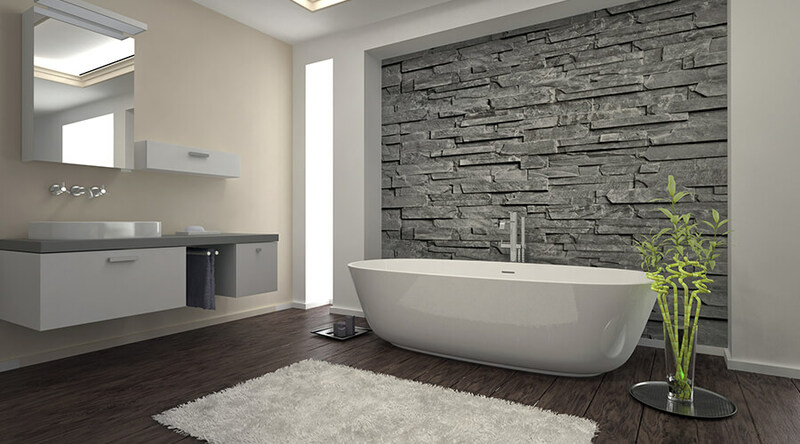 Even if you don’t redecorate your bathroom, a tired, dull looking bathroom can make you not want to use it and can also reduce the value of your home, which is why so many people install new bathroom Milton Keynes. Plus, personal hygiene is prominent every day in your daily routine, multiple times a day in fact. So your bathroom should always be one of the rooms in your home that is the cleanest and most luxurious. Want to revamp your bathroom but unsure how? No worries, we’ve noted down some of the most effective ways to renovate your bathroom, so keep reading! Nothing drags down a beautiful bathroom interior more than worn out or faulty taps. Limescale can collect up around where the water comes out on your taps, and once it collects enough, it can be a real hassle to get off. Currently, in the UK 60% of our entire population suffers from very hard water, this basically means that there is a prominent amount of calcium carbonate present in our water. To improve this, you might want to invest in a water conditioner to improve the hardness of your water, not sure whether you live in a hard water area? Find out here on ScaleGuard. If limescale ruins your taps the sometimes it’s simpler and more cost-effective to just replace them. Nowadays there is a huge selection of taps that can make your bathroom fit a variety of different themes. From waterfall spouts, to LED tap heads, to traditional, elegant curves or slim, angular models for a modernised image. For a full decision, you should go and snoop around your local bathroom shop or have a look online to decide on the sort of thing you want, never attempt to fit these yourself as you can damage your homes plumbing! Always rely on professional plumbers Aylesbury. What a better way to update your bathroom with fancy lighting and LED colours? Not only are they eco-friendly, they save you money and make your bathroom look lit up, mood lighting also has been scientifically proven to relax you which can be fantastic during baths and showers. Look around for any LED wall fittings you can find that would be suitable for your bathroom, if you can’t find any that you like then try looking for LED mirrors. Like we previously mentioned LED taps are another fantastic way of sprucing your bathroom up, they make your bathroom unique and even change dependant on the temperature of your water. We love this touchless LED bathroom tap we found on Homary. If your walls aren’t tiled, then it’s a quick task for you to update your walls with wallpaper or paint. If you want a unique touch on your bathroom, then you can add patterns or wallpaper to brighten up your bathroom and add a flare of your own design. When doing this, you should always take into consideration that your bathroom will be exposed to wetness and steam from your shower etc. To reduce the amount of steam that your bathroom is exposed to you should make sure you have a high-quality extractor fan installed, as steam and condensation are the main culprits of causing mould and mildew in bathrooms. However, you can purchase mould proof paint and wallpapers that have been specially designed to resist against these wet and warm conditions. Organisation is key; you can make something look brand new by merely taking the time to restore order and create storage space for all of the things in your bathroom. Not only does it save time by you knowing where everything is, but it looks a lot more visually appealing rather than having clothes and a towel thrown on the floor with an open bottle of toothpaste left on the side! We would recommend wall mounted cabinets as opposed to floor standing as they’re more reliable and take up less space in your bathroom. If you want to get rid of the typical towel rail in your bathroom, then why not opt for shelves instead? A simple shelf above your bathroom door or around the room for your towels keeps them out of the way allowing you space for other things. Put all of your products and beauty tools in neat boxes either on your shelves or in your cabinets to keep everything organised, and out of the way, there’s nothing worse than a messy bathroom where you can’t find what you’re looking for. If you love to get in your dressing gown or comfy clothes straight after a hot shower, then consider fitting a few hooks or clothing pegs on your bathroom door or in the room. That way you can grab your towel or clothes straight after your shower instead of having to walk around in a towel. And if you’re thinking about replacing the tiling on your walls, or replacing your tiles with wallpaper or paint then why not replace your flooring for something that suits your new bathroom design. Take a look at your options; tiles can be slightly more expensive dependant on the sizing and design. For a more contemporary finish opt for a sleek wooden finish, or if it’s a bright, vibrant design your after then look for colourful big sized tiles. If you can’t find tiles that suit your design then why not search for a bathroom matt that compliments the rest of your bathroom interior? So if your bathroom is looking a bit worn out and like it needs some love, maybe it’s time to give it a renovation that will leave it looking brand new. Not only does a newly renovated bathroom make it nicer to relax and carry out your daily routine in, but it also adds value to your home!